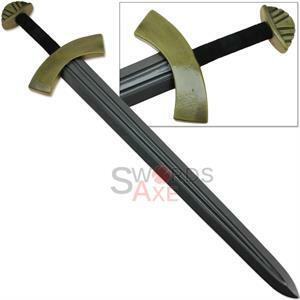 The typical Viking sword of the 9th and 10th centuries featured a long wide blade with a broad central fuller and two keen edges. 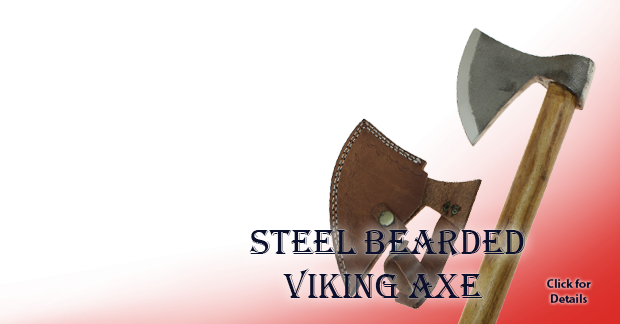 For a Viking, during battle the preferred stroke was a hard slash or chopping blow, so the point was fairly rounded but was just acute enough to be useful for thrusting. A simple guard with forward curving quill-ions was often utilized and combined with an equally utilitarian wooden handle that was covered with leather, bone, or even cast in brass. 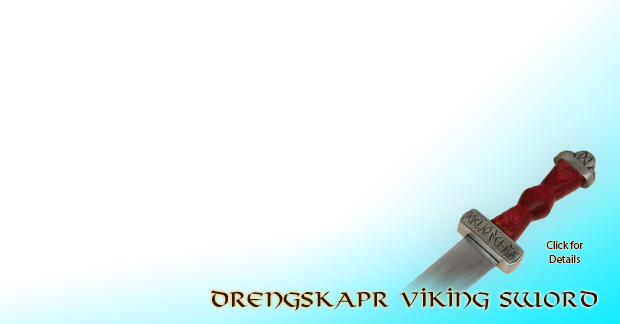 What really made the Viking Sword so distinctively recognizable from its contemporaries was its heavy lobed pommel used to balance the long blade. 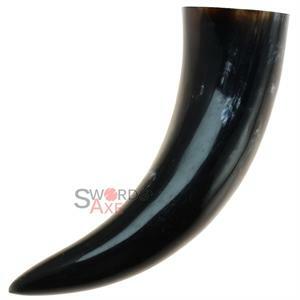 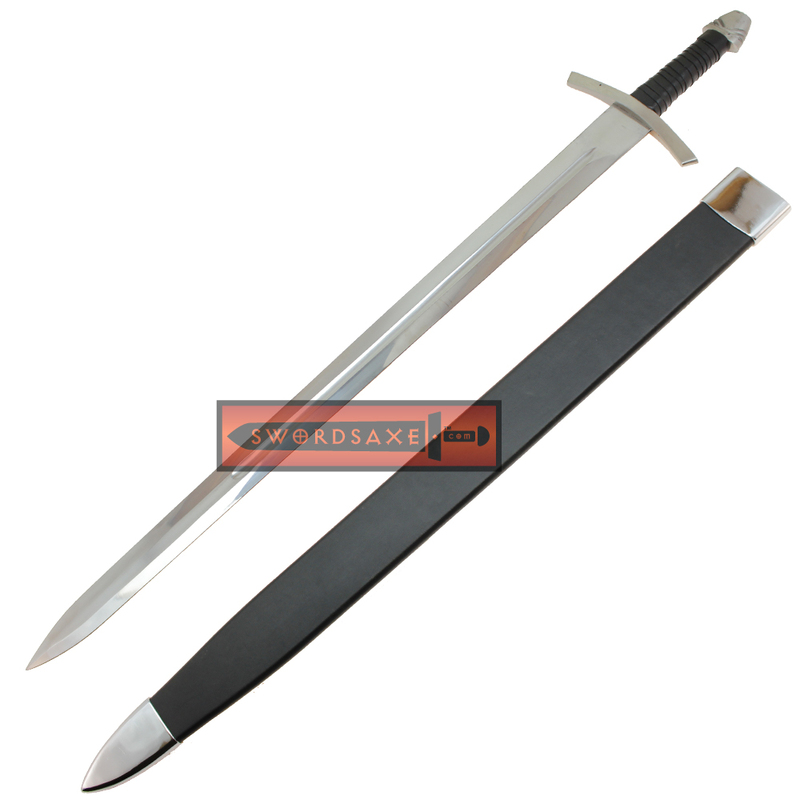 Featuring a Peened full tang blade which runs through the sturdy handle for supreme durability, this sword also displays authentic viking vibe in both reenactments and sword play. 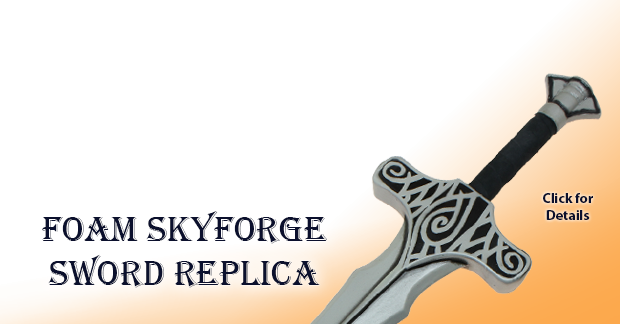 A beautiful fuller centers the blade and meets a central ridge towards the end, extending the capabilities and blade performance. 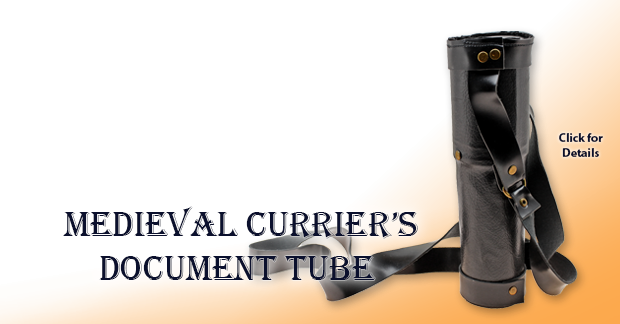 A full carbon steel hand guard protects your hard grip on the tacky faux leather handle grip. 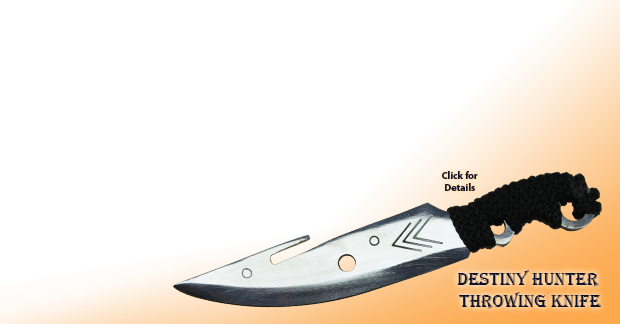 Below the wrapped leather lies wooden inserts and a full tang that you can feel when striking a mark. 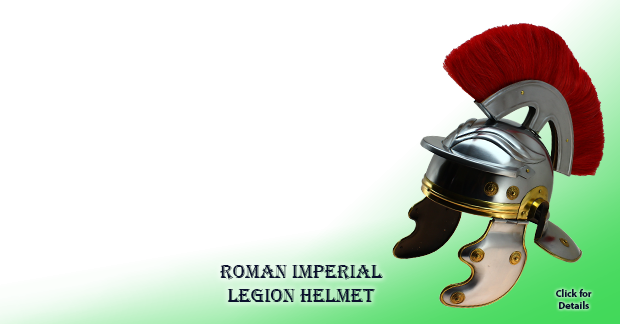 A solid steel pommel weighs the rear of the handle and each sword is individually balanced to provide quick, stable, and accurate handling. 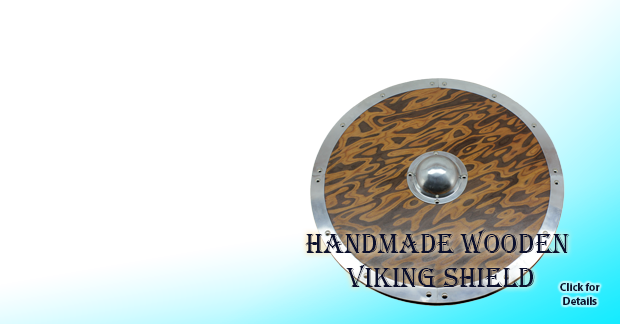 The 10th Century Full Tang Peened Battle Ready & Fully Functional Viking Sword comes with a wooden scabbard with leather wrap. 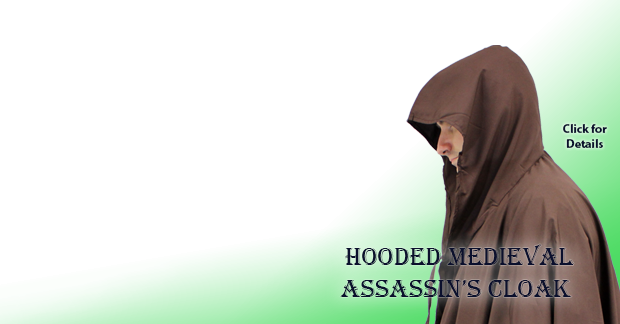 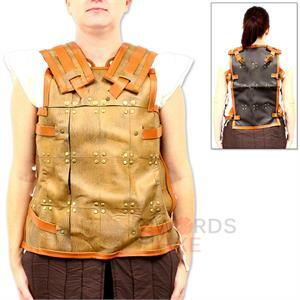 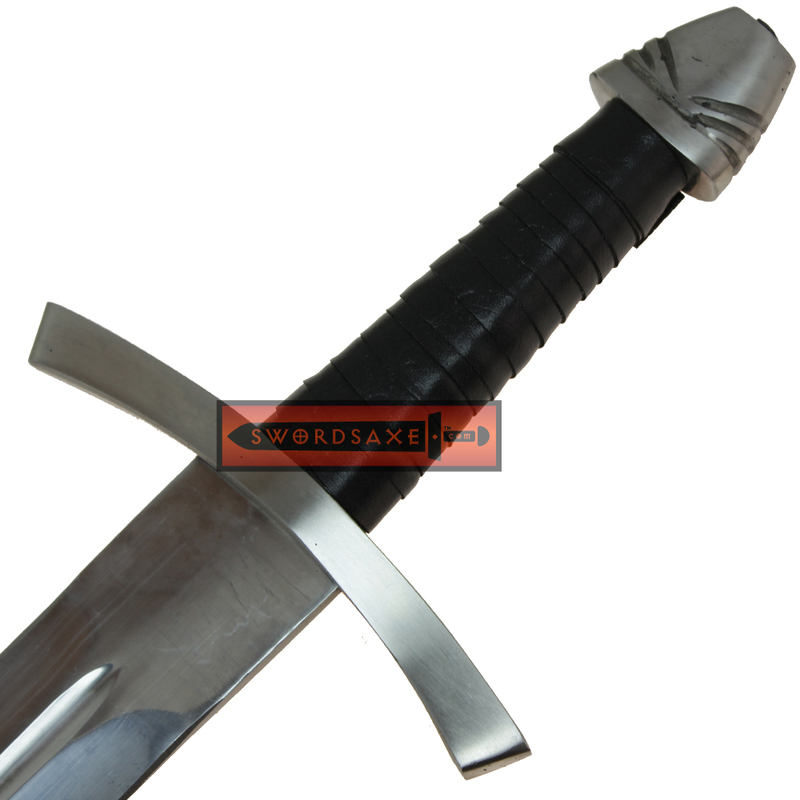 The leather is stitched and each scabbard is hand made to fit the sword. Aluminium fittings on the throat and base make the scabbard durable, even when weighted by the sword. 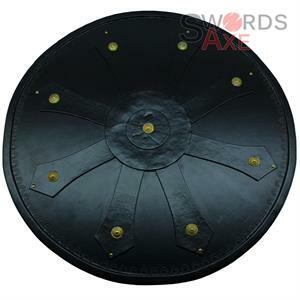 It fits into most Medieval longsword frogs. 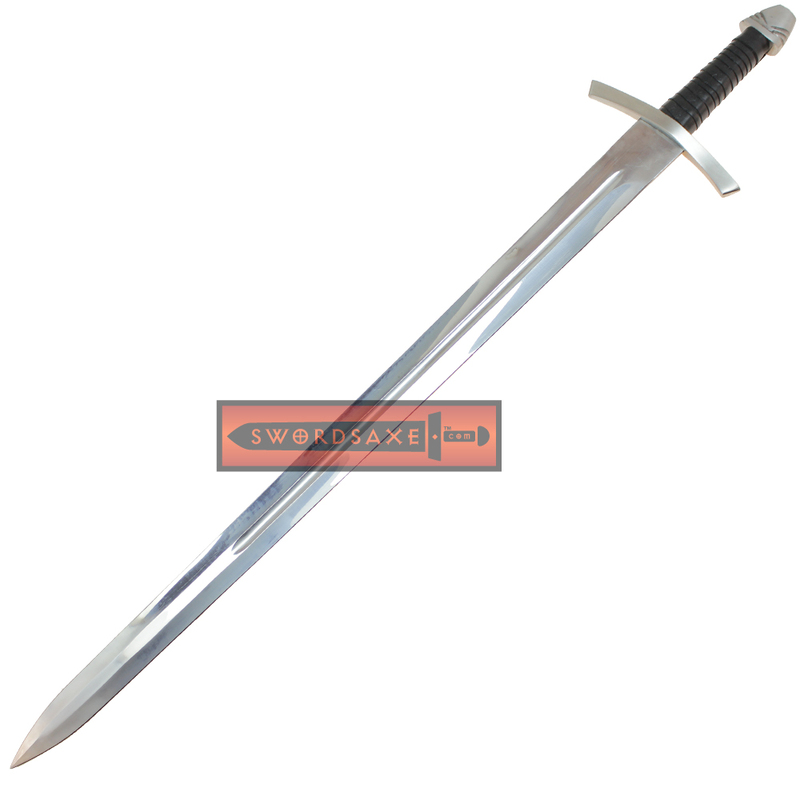 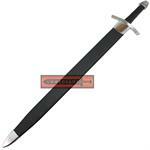 So whether you are buying a sword for a real sword cutting or just display you cannot go wrong with this sword. 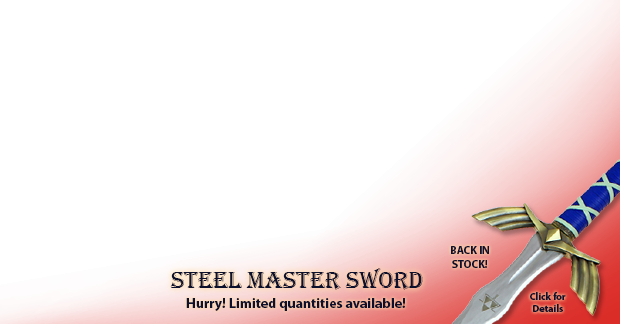 Please note that this is a handmade sword and may exhibit minor imperfections and no two pieces are exactly the same.